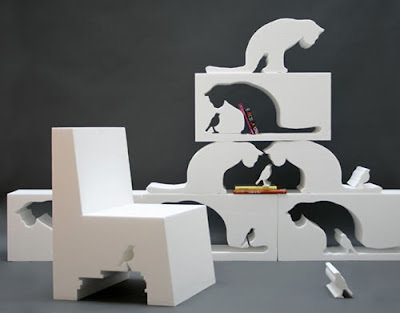 What the artist has done is taken blocks of plastic or foam and cut out the shapes of cats looking at birds. Then, what is cut out is placed on top of the blocks. And then, to make the art functional, he sells it as bookshelves. 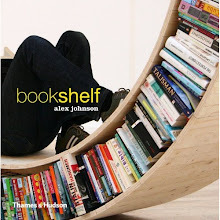 Wouldn’t this be a cool bookshelf in an elementary school, or a little art deco for your hip apartment?